For this week's ep of my podcast Apt. 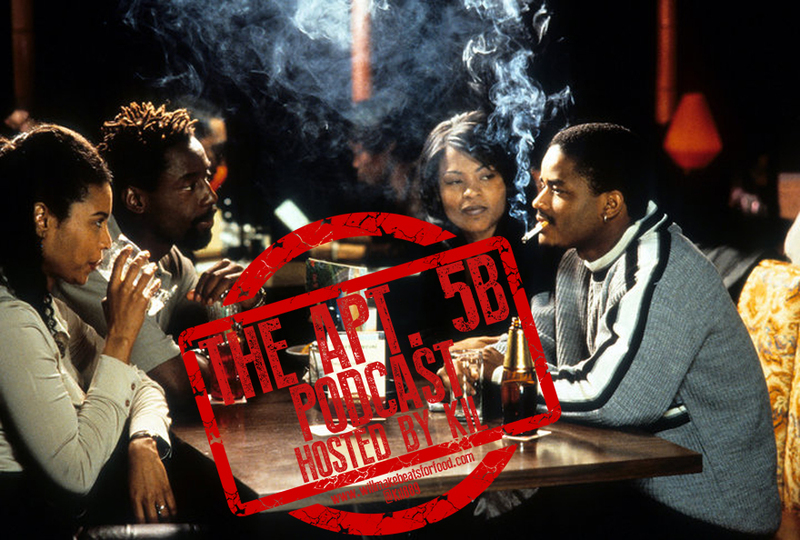 5B we're switching things up a bit & I'm chopping it up with Porsha, Britt, Abstract Minor and Vern about one of the dopest movies ever...yup, I said EVER Love Jones! We're chopping it up about our fave characters, our fave scenes, fave quotes and of course how many mics we give it. The convo gets REAL dope when we start diving into the difference between dating 20 years ago vs. now and why our fave quotes hit home with us. And ya'll KNOW there's no way we're not having an ep of Apt. 5B & not chopping it up about music, so we're also diggin' into the soundtrack, what are our fave songs and how many mics that jawn walks away with! Trust and believe even though it's a change from our norm it's still ANOTHER dope ep and don't forget to subscribe to our You Tube and Mixcloud channels!